While the two of us like to cook during the week, we were in the mood for takeout one night and, after some deliberation, reached a quick, easy decision: Vace. The Italian store and pizzeria has proven time and time again that they serve up some of the best pies in the Washington area. 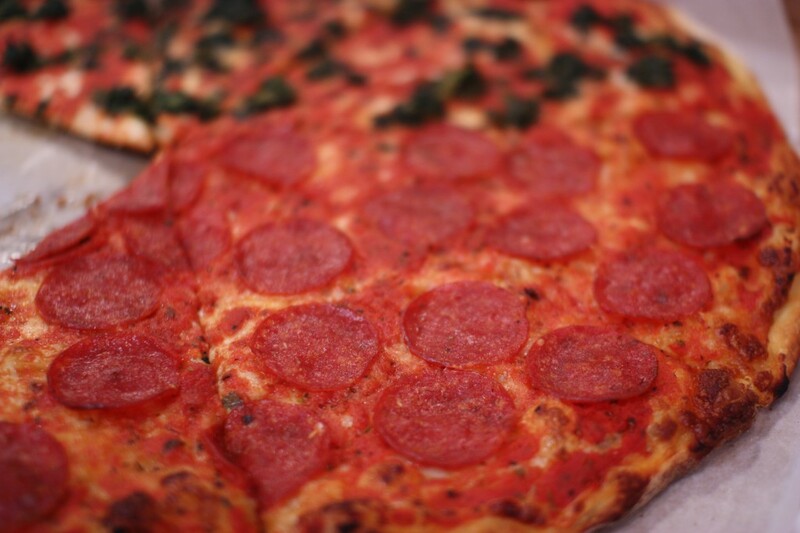 That’s not to say that their pizza is flat-out amazing, but coming from a couple originally from New Jersey and New York (albeit upstate, but I digress) and having been to other pizza parlors in Bethesda, Vace’s pizza is fantastic. Located on Miller Avenue, tucked between Wisconsin and Woodmont Avenue, the store is not the easiest to find. And after walking in, you certainly would not expect that they would be known for their pizza after glancing at the walls of Italian products and homemade frozen pasta. 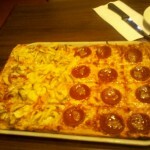 Unlike most pizzerias, Vace employs a unique style where the sauce is placed on top of the cheese rather than below it. 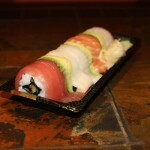 But don’t let that deter you from ordering – the result is still the same: delicious. With large pies (measuring at 16 inches) starting at a very reasonable $9.50 (toppings are $1.10 each), Vace is a convenient, affordable option for carryout. Just make sure to call at least thirty minutes ahead, especially during the week, as they get bombarded with orders during dinner hours. As for toppings, we decided to get half pepperoni and half spinach. Should you ever eat from Vace, make sure to order the pepperoni. There’s just something about it that sets it apart from the competition. That’s not to say the fresh spinach wasn’t a great addition as well. Matter of fact, I don’t think you can go wrong with any of their toppings. But yeah, pepperoni: a must! Vace is located at 4705 Miller Ave in downtown Bethesda. For carryout orders, call (301) 654-6367. 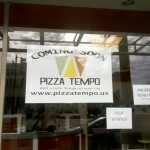 They also have another location at 3315 Connecticut Ave NW, in the Cleveland Park neighborhood of Washington, DC. 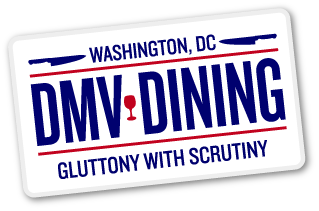 For carryout orders, call (202) 363-1999.